The User Experience at Dundee group is proud to be presenting a number of research pieces at The 2019 ACM Conference on Computing and Human Interaction that is being held in Glasgow. For more information please see the cards below. Michael Crabb, Michael Heron, Rhia Jones, Mike Armstrong, Hayley Reid, Amy Wilson. When creating digital artefacts, it is important to ensure that the product being made is accessible to as much of the population as is possible. Many guidelines and supporting tools exist to assist reaching this goal. However, little is known about developers' understanding of accessible practice and the methods that are used to implement this. We present findings from an accessibility design workshop that was carried out with a mixture of 197 developers and digital technology students. We discuss perceptions of accessibility, techniques that are used when designing accessible products, and what areas of accessibility development participants believed were important. We show that there are gaps in the knowledge needed to develop accessible products despite the effort to promote accessible design. Our participants are themselves aware of where these gaps are and have suggested a number of areas where tools, techniques and guidance would improve their practice. Garreth Tigwell, Zhanna Sarsenbayeva, Benjamin Gorman, David Flatla, Jorge Goncalves, Yeliz Yesilada, Jacob Wobbrock. 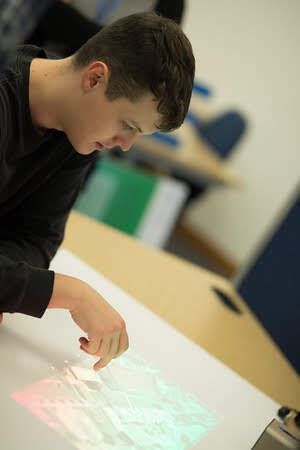 Situationally-induced impairments and disabilities (SIIDs) make it difficult for users of interactive computing systems to perform tasks due to context. In this workshop, we will bring together researchers working on understanding, sensing, modelling, and adapting technologies to ameliorate the effects of SIIDs and identify new directions for future research. More information is available on the Workshop Website.